and its first performances were in Tel Aviv. sometimes too many: I could be busy day and night. for the educational institutions of AMIT and Emunah. and it was so popular that there was an encore showing. The Jews of Palestine in 1936 were thirsty for culture. 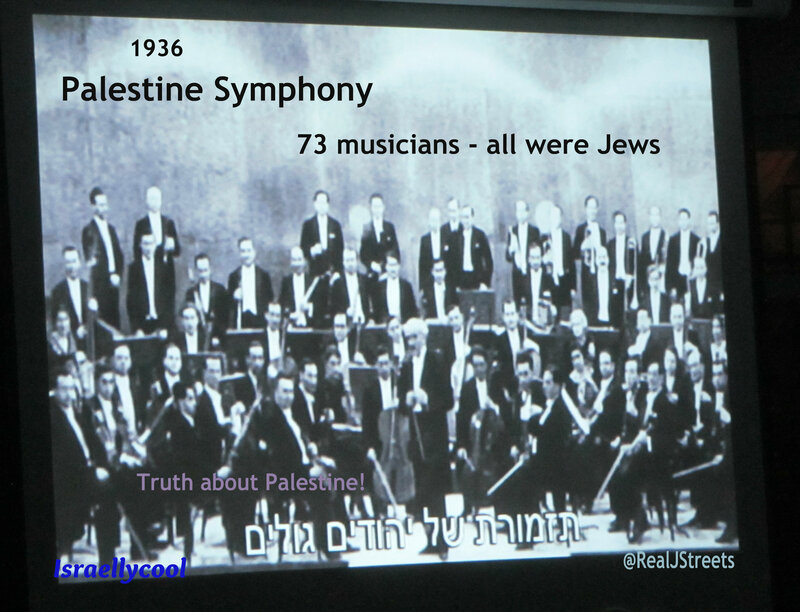 The Palestine Symphony was a huge success. to rebrand Palestine and make up a cultural narrative. to be family friendly and apolitical. But it is important to know history. and was founded while the local Arabs were rioting from 1936-1939.
not a narrative from a cleverly crafted script. it was so fascinating that I watched it a second time. And next week, another music festival is opening in the Old City. I find it interesting that in the 1920s, when the British referred to the local Jews as “Palestinian Jews”, they didn’t object, as they knew it was a geographic designation (like British Jews or American Jews), not a nationality. But when the British referred to the local Arabs as “Palestinian Arabs”, they called it a “nakba” (catastrophe). Why? Because they didn’t want to be called “Palestinian” anything… basically because they Jews had the same designation, but also because they said they weren’t from “Palestine” but from “Southern Syria” and elsewhere! Yes, it is amazing how rebranding and narratives work! Truth has nothing to do with it.